that women saints were way more likely than men to have experienced the accoutrements (stigmata, ecstacsies,and visions) of miracles! 4 weddings and 12,000 miles in 6 weeks, might not qualify for the Guinness Book of Records, but it certainly was a Personal Best. Joy, Joy and more Joy was definitely the overarching theme and love was in the air; whether it was the open air, literally of an organic farm, or the rarefied air of stunning historic landmarks. Traipsing across the country, I had lots of time to think about these couples, their families and the promise of new beginnings. There were friends, rabbis, ministers and relatives who performed the myriad of ceremonies, each in their own way speaking words that were meaningful and personalized for each couple recounting a past vignette and the moments that had brought them to the altar. Admittedly, no one had a crystal ball peering into the future, but the future was present, looking over the heads of the attendees, hearing the promise of love and of hope, but knowing that the road ahead would likely be filled with twists and turns that would test, and hopefully strengthen, their unions. Writing about love this month, when we typically think about ghosts and goblins, saints and sinners, I wondered about the connection. Perhaps it is because of my own recent wedding anniversary and the fact that I have spent this month living across from the church where we were married all those years ago; or perhaps it was the challenge issued by the wedding officiants that as witnesses we are called upon to offer support, wisdom and assistance in the future. It made me think about the goodies in marriage that need to be savored, like honesty, generosity of spirit and forgiveness. These, one can never have too much of (like peanut M&Ms), while things that may sneak in like jealousy, impatience or rigidity are like the "tricks" given by the clueless neighbors and tossed as soon as we get home. But it's in the sharing of life's experiences where marriage finds its lasting sweetness. On 9/11 this year, I had the morning news on as I went about my day. The names of every victim were being read alphabetically. After eating breakfast and reading the morning newspaper, they were still on the B's. After returning from a work out, they were on the C's. Three hours in, they had just started the P's. The names were read by loved ones who had lost someone on that horrific day and when they got to the name of their son, daughter, husband, wife, sister or brother, they said something meaningful about them. "He rushed in in as others rushed out" or "She lit up the room with her smile" and always, "Not a day goes by that we don't miss you." Plato concluded that humans are defined as "a Being in search of meaning." It feels impossible to find meaning in these deaths, but we can and do find meaning in their lives. When we sift through the rubble, we remember courage and sacrifice, love and commitment, budding talents and wise counsel. In honoring their memory, we are recognizing that search for meaning in ourselves: how we connect, how we offer kindness, and how we find the capacity for love and sacrifice. A combination of virtues and characteristics unique to each person points to the path marked "Why you are here." "Don't ask permission, beg forgiveness." It's what we tell our summer guests as the only house rule. It may seem simple, but what I have come to realize is that permission is a funny thing. When we were kids, we needed a lot of permission: permission to leave the dinner table, permission to take out the car, permission to borrow a necklace or hair ribbon. Permission was the ubiquitous elephant in the room you could never get around. We don't ask permission that much any more, and yet, while our moral norms have broadened in some ways (i.e., I can now wear pants anywhere, LOL), we have, in fact, become more stifled as the list of things we can't talk about is growing daily. Politics is definite dinner party stopper, as is right to life or right to death, gun control, the military; even world peace seems fraught with politically correct innuendo. So it is no surprise that any discussion of the supernatural raises eyebrows. It's a reason why people look for a special place to explore the miraculous, and why we continue to be asked to speak about miracles. 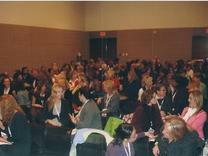 Once we share our own miracle stories, others feel comfortable opening up and disclosing theirs. We give them permission, not in so many words, but through our actions where it counts. It seems now, often instead of granting permission, we've moved into a restrictive realm of what you can and cannot do. I was reminded of that recently while buying birthday candles for my mom's 95th birthday cake. Striking up a conversation with the floor sweeper in the bakery, she mentioned her own grandmother, who at 95 was making up her own rules of what she could do (much to the concern of her adult children.) Since the woman lived until well past 105, the philosopher floor sweeper confided in me that that was the secret: just do what you can do, for as long as you can do it - no permission needed. It sounded like an effective strategy, so I started to look around for other examples. In reading David Baron's wonderful book American Eclipse, he writes about Maria Mitchell of Nantucket who was a noted astronomer and professor at Vassar. She didn't seek permission to take her group of females across the country to Denver in 1879 to study the total solar eclipse, she just did it; even after the government declined their funding believing women were too fragile to make the tedious trip. Yet, it is in the doing where we find the wonder, the joy and inspiration for others. A few evenings ago, I walked by a panhandler, cup in hand, asking for change, hardly an unusual occurrence in New York City. As I passed him by, I turned around and did what I frequently do in these situations. We made eye contact and I said not tonight, but I hope you have a good evening. A few yards away I hailed a cab and was struggling to close the heavy van door when the panhandler ran up to help and closed it for me. He smiled and waved as we drove away. A silent message of thanks, I suppose, for acknowledging his presence. It got me thinking about human connection and the universal language we all share. I was reminded of an early morning a few months ago with my 2-year old grandson, Shiloh. We have our little morning rituals, he and I, one of which is to simultaneously say, "Good morning to the day," as I pull up his bedroom shade. 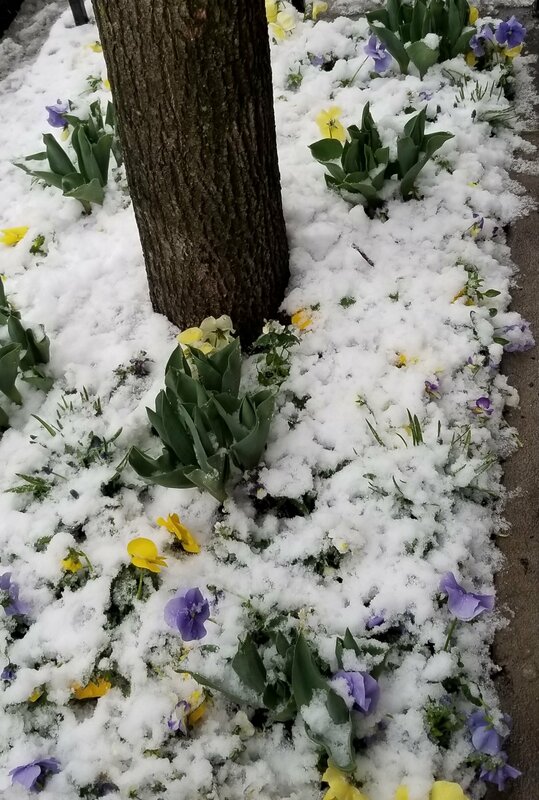 On this particular April morning NYC was in the midst of an unseasonable snowstorm. Shiloh stood in his crib and for a moment stared at the swirling, dancing, fluffy snow, and then he began to laugh - down to his toes, taken by surprise, a pint-size bundle of mirth. I couldn't help but be drawn in, to see what he saw, a bit of heaven on earth. This July most of us have been riveted by the plight of the Thai Wild Boar soccer team, twelve boys and their coach caught deep in a cave when the rains came. Their plight became our plight. Countries and individuals sent help, expertise and money. We could understand their fear, we prayed in every language and religion for their survival against impossible odds. 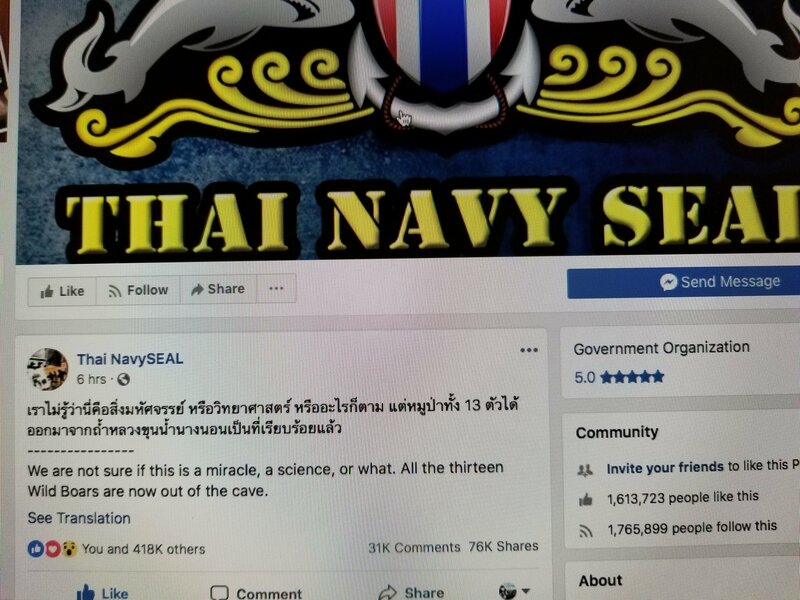 One brave diver lost his life and many more continued to risk theirs until the end, when one of the Thai Navy Seals wrote, "We are not sure if this is a miracle, a science, or what. All the thirteen Wild Boars are now out of the cave." I imagine a collective, planet-wide sigh of relief. In a world at odds with itself, there were no sides to choose and no discussion to be had. There is a human language available to us where we have an opportunity "to make music that will melt the stars. "* Gratitude. Joy. Universal Connection. No words required. I am hardly an international business tycoon, generally more used to titles like mother, wife, sister, friend, author, consultant, volunteer – even so, I have logged nearly 100,000 air miles since January and it's just barely mid-year! I guess that’s why so many of my experiences are travel-related ones, like the story of James – our inaugural blog, which was the first time I experienced an airport miracle. But there have been others, like the time I was in Puerto Rico returning to California to regroup before a miracle talk in Boston, where after slipping and fracturing a couple of vertebrae in my back, through the kindness of strangers my heels got swapped for sneakers that were tied ever so gently before being escorted to the next airplane gate so I could make it home. The folks who helped didn’t know me from Adam and yet they stopped, even after I signed my life away by refusing transport to the local hospital. I was reminded of the kindness of strangers again this month when I found myself debilitated because of a solid nose plant on the armrest of my airplane seat while boarding the plane. (Long story but suffice it to say people should always move to allow entry to the window seat instead of becoming a tripping hazard.) With a face the size of a beach ball and having delayed the flight to await the paramedics, I was stunned when the woman across the aisle introduced herself and said she’d look out for me if I needed anything. From my “reclining” position with a face mask of ice, “Just raise your hand,” she said, “and I’ll get help.” As if she didn’t have enough to do with occupying her 10-month old on the 6-hour flight across the country. It is in moments like these where human connection occurs, a kindness generated by kindred spirits being willing to help each other without the pretense of anonymity or isolation. It is as G. K. Chesterton said, “We men and women are all in the same boat [or plane], upon a stormy sea, and we owe each other a great and terrible loyalty.” The Broadway musical Come From Away celebrates this connection in the story of the 38 commercial jets that were forced to land in Gander, Newfoundland after the events of September 11, 2001 and the townspeople who took them in. As Gander Mayor Claude Elliott says, “What we consider the most simple thing in life is to help people. You’re not supposed to look at people’s color, their religion, their sexual orientation — you look at them as people.” It is a stirring illustration of human nature at its best. These miracle moments, and yes, that’s what I think they are, like Katie’s bus ride with hero Rose Mapendo, Meb’s trip to Chicago to the Oprah Show and the plane ride home where she had her own "A-ha" moment, the sharing of the myriad of miracle stories we have had the honor of hearing, are the daily moments of life that are worth remembering and celebrating. Just this week social media has come alive with the story of 15-year old Clara and her example of becoming a miracle for a gentleman on her plane. These stories bring hope for resilience, for forgiveness and for building faith in humankind. The Miracle Chase is a book narrating the 10-year journey of three women friends as they explore and discover faith, friendship and survival together.